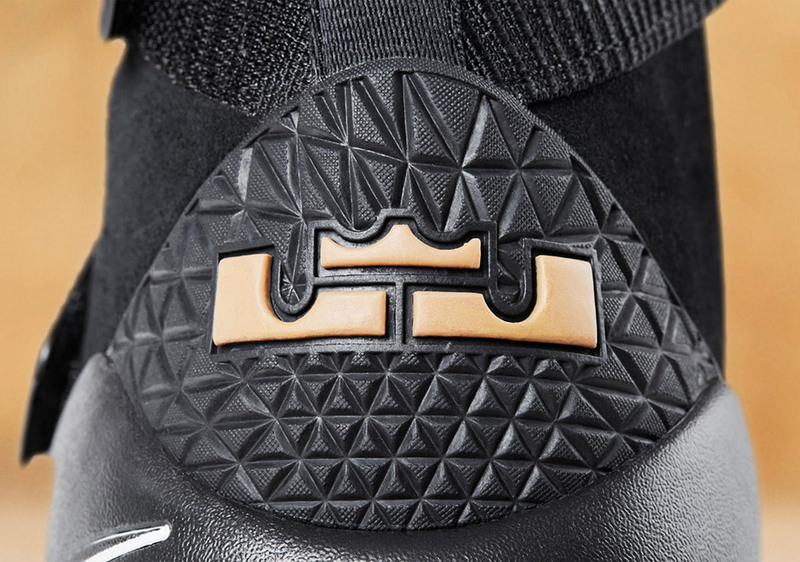 Following the reveal of the highly-anticipated Nike LeBron 15 in the “Black” and “Gum” colorway, the Swoosh brand has delivered similar treatment to Lebron’s other silhouette, the LeBron Soldier 11. The classic colorway features a blacked out mesh upper, complete with quadruple straps, sitting atop a gum rubber outsole. 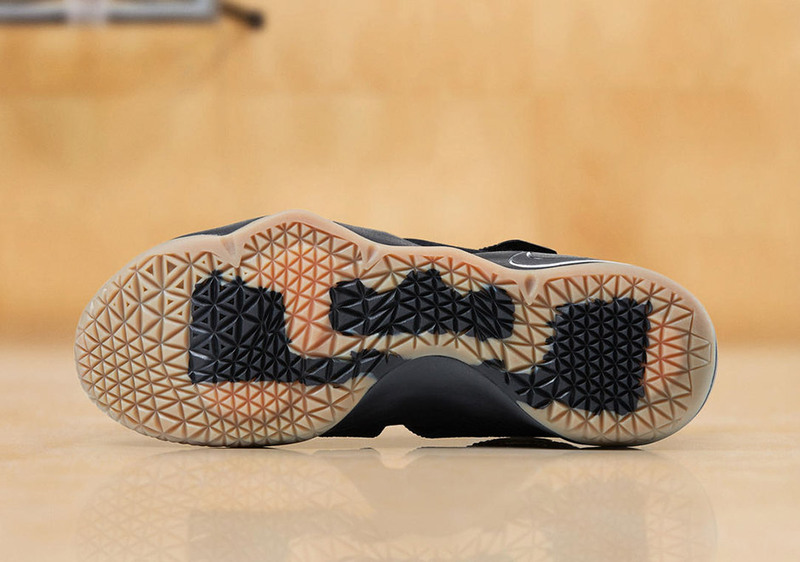 However, this semi-subdued colorway gets a touch of flash with a loud “Total Crimson” insole. 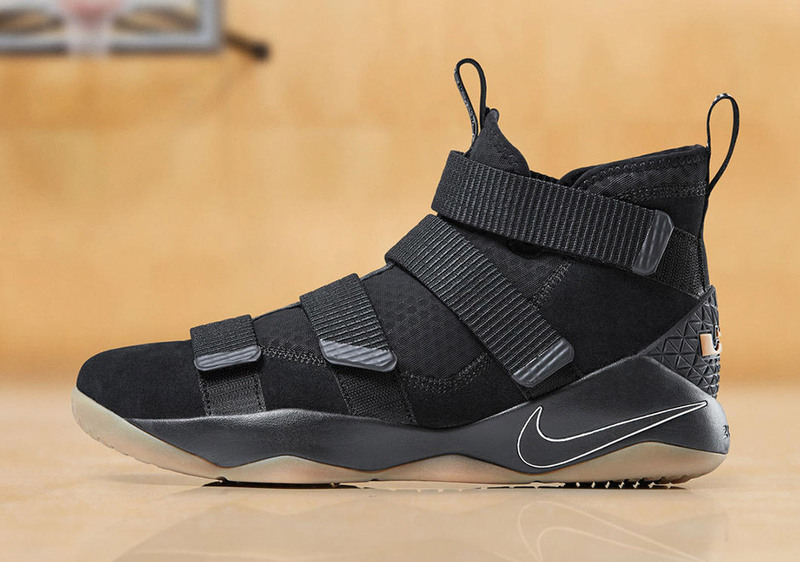 This clean look shouldn’t be unfamiliar to fans of the LeBron Soldier line, as the LeBron Soldier 10 donned a similar appearance last June. 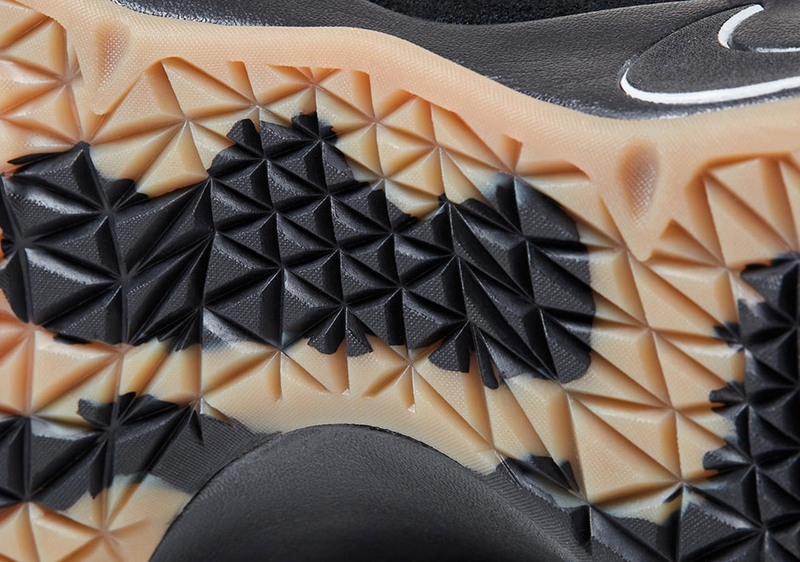 Those looking to scoop this classic look on a slightly less expensive LeBron silhouette can do so now on the Nike App, Nike.com and at select Nike retailers.